Little need be said about the current craze for coloured stones. While the Lesedi La Rona, the second largest uncut diamond in history, failed to sell at auction in June, its chromatic sisters have made record-smashing news. In May alone, the largest ever pear-shaped, fancy vivid “Unique Pink” hammered down at Sotheby’s for a record $31.6m (£21.9m); the “Aurora Green” went for an unprecedented $16.8m in Hong Kong; while the “Oppenheimer Blue” fetched a cool $57.5m at Christie’s, the most ever paid for any gem at auction. The fascination is not only the preserve of diamonds. The pearl is also having a Technicolor moment. These tonal beauties, which range from tar-hued blacks to barely-there blushes, offer something fresh to a woman’s jewellery box that, like diamonds, already includes the white pearl suite of solitaire, studs and necklace. “People are seeking something unique,” says Michael Hakimian, CEO and chief designer of Yoko London, which specialises in natural coloured pearls. Such stones are “beautiful yet simple”, he adds, and easily worn every day. Whereas a diamond is — as one pearl wholesaler described it— “just physics”, formed over millions or even billions of years deep in the earth’s core through heat and pressure, pearls are produced by a living, breathing organism, the mother molluscs secreting the thousand layers of mirror-like nacre that eventually give pearls their inherent lustre. “There is something warm and soft when you hold a pearl,” says Frieda Kaplan Gross, founder of NOA Fine Jewellery. 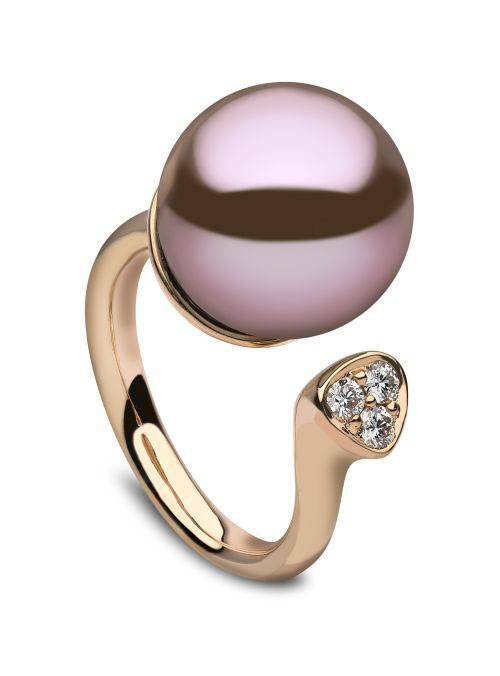 Her new Pearla collection includes stackable rose-gold midi rings topped with a single, luminous purple pearl, and diamond ear jackets featuring hot-pink 13mm pearls suspended on chains. The collection adds the cool factor to a stone that’s had a somewhat prissy reputation — an edgier look that Tahitian pearls innately achieve, with not only their inky blacks and slate greys, but also warm aubergines and even milky creams. 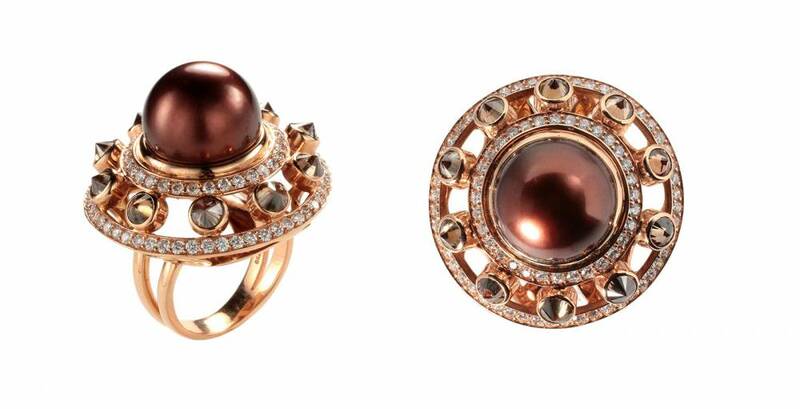 “I’m inspired by the exoticism of black, silver and brown pearls,” says designer Ara Vartanian, who has paired Tahitians with black diamonds in fashionable drop earrings and knuckleduster rings. The Brazilian designer, who recently opened his first European store, in London, says it can take years to find pearls of the right hue and size. This was the case for an exceptional 18.5mm Tahitian pearl that he set into a bracelet with inverted diamonds. Beirut-based Gaelle Khouri enjoys mixing metals and textures in her bold designs. Pearls add “roughness and darkness”, she says, while embodying her love of nature. Her pink-gold and bronze Tangled double-finger ring, and statement-making Refugee ring, brilliantly offset brown diamonds and tsavorites with the shadowy Tahitians. Elsewhere, baroque Tahitian pearls offer a uniquely shaped, mesmerising palette to play with, and Glenn Spiro’s stunning drop earrings — the iridescent stone encased in a web of black and white diamonds — have a modern antique feel. 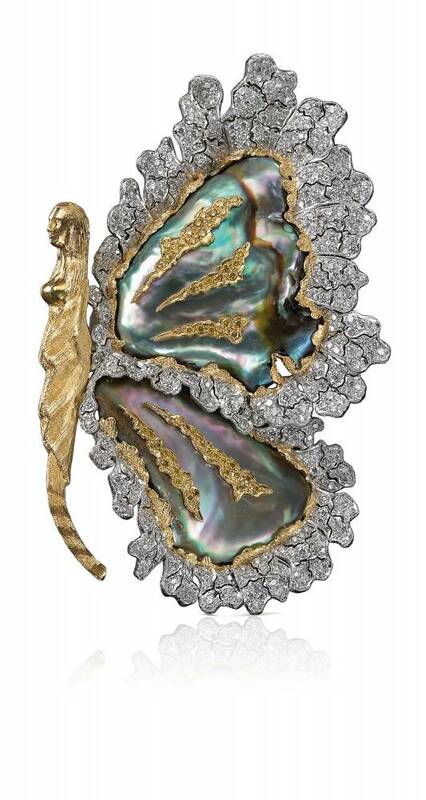 For nearly a decade, Italian masters Buccellati have fashioned one-off animal brooches from baroque pearls and the sculptural, Renaissance-like designs breathe life into the stones. 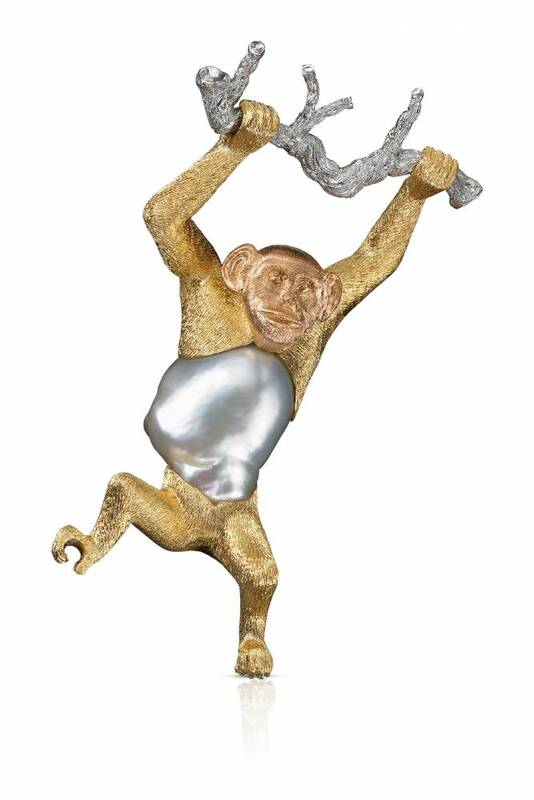 Recently, a brilliant 22.48ct abalone pearl has been crafted into a swordfish brooch, its swirling depth befitting the ocean’s wonders, while the 48.57ct belly of a delightful monkey is set with a pink gold head and white gold tree trunk. If Tahitians have an exotic, enigmatic edge, their pink and peach South Sea sisters are classically feminine and romantic. They have cropped up in high jewellery collections; Chaumet’s beautiful and transformable Racine céleste necklace is an enchanting twist of rosy freshwater pearls — from pale blushes to shimmering champagnes — further enhanced with sprinklings of pink and violet spinels. 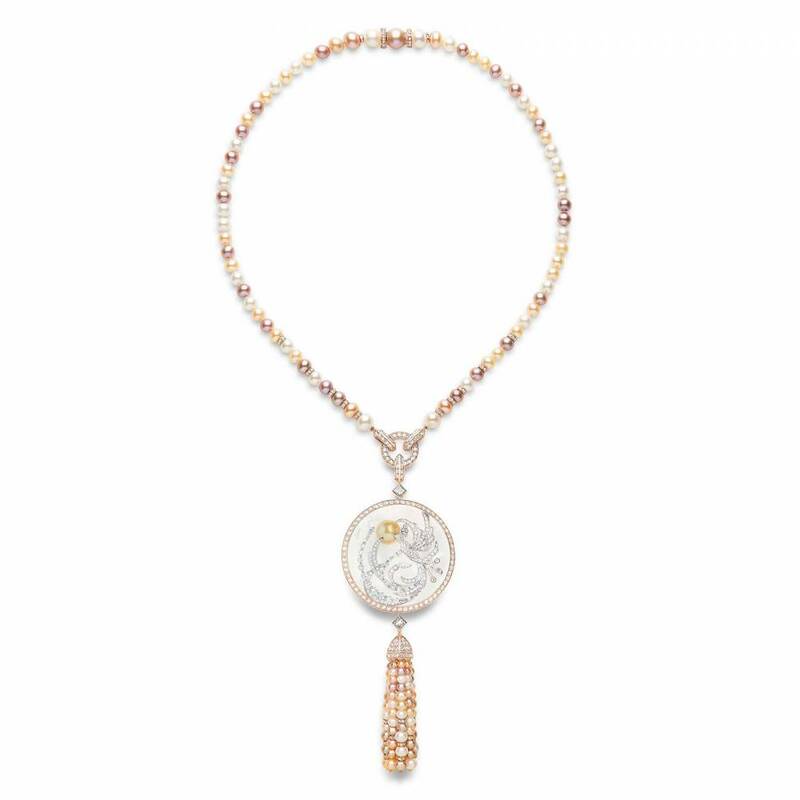 And Boucheron’s super chic Plume de Paon necklace — a gorgeously luminous and long strand of 151 yellow, pink and white stones — is topped with a diamond-set rock crystal and clustered pearl tassel. 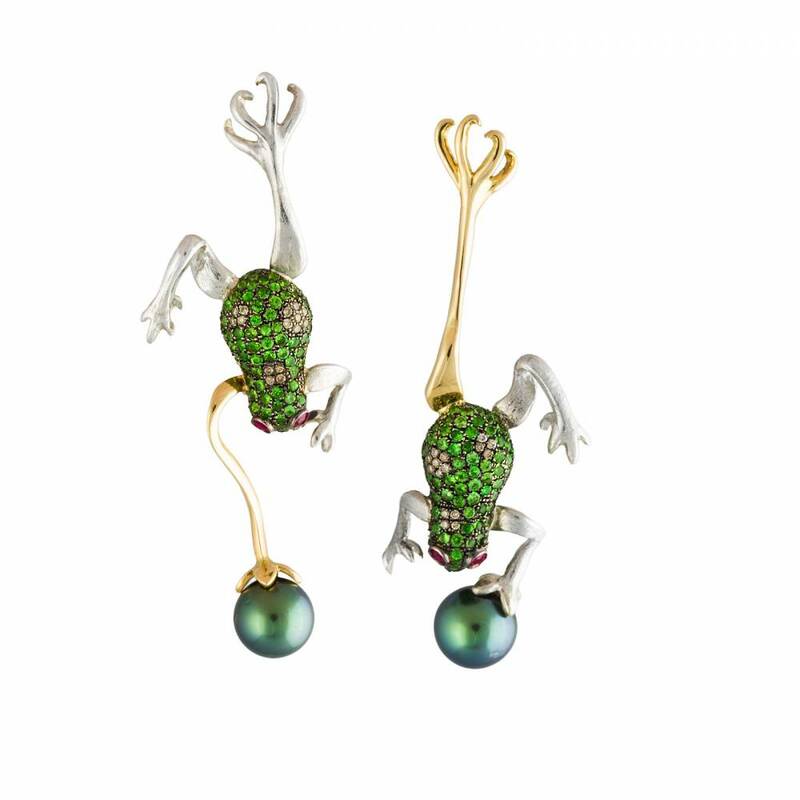 Yoko London has started sourcing Radiant Orchid pearls, the luxurious sister to freshwaters, which come from super-bred molluscs that can produce 12-15mm stones compared with the 9-10mm for the largest freshwaters. Michael Hakimian mixes them with diamonds, sapphires and amethysts in standout necklaces or lets them shine alone in rings, so intense is their colour. “They range from deep, almost violent and velvet purples and reds all the way to the softest baby pink,” he says, adding that clients often come in with dresses wanting to match the colour in pearls. And if pink is your preference, then the ne plus ultra of rarity is the conch. Famous for its flamingo hue, the stone is “tender, soft and very elegant, which perfectly fits our creations,” says Maria Cristina Buccellati, granddaughter of the house’s founder.